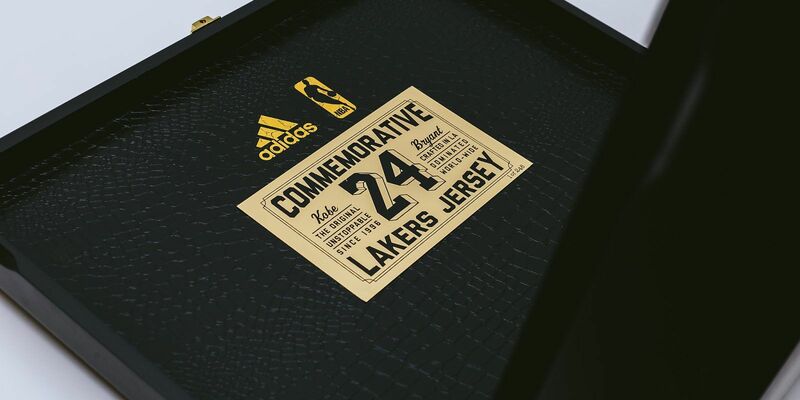 Instructed direct by Adidas to source a custom luxury wooden box for a commemorative Kobe Bryant game in Los Angeles. 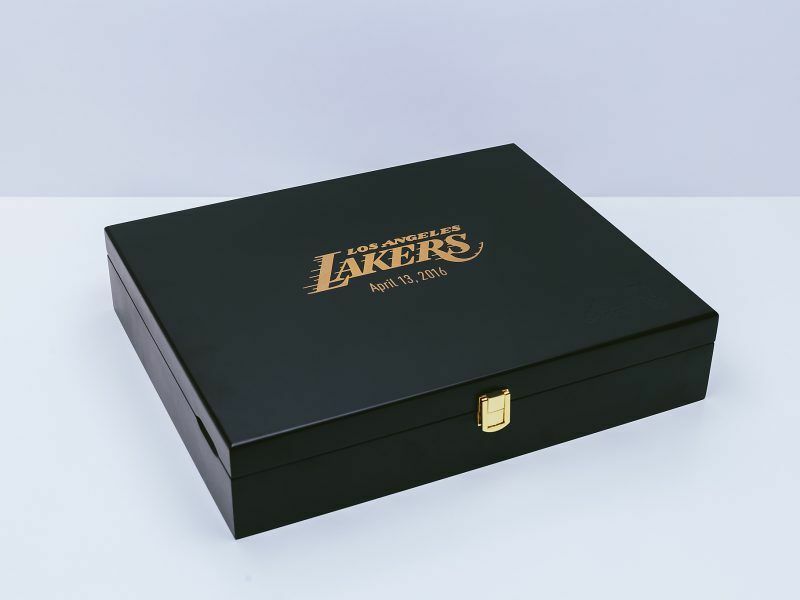 The “Black Mamba” project brief was to produce a bespoke box to contain a limited edition KOBE Bryant NBA Jersey. E J Melling has various wood specialist sources in the Far East who produce bespoke high end wooden boxes. 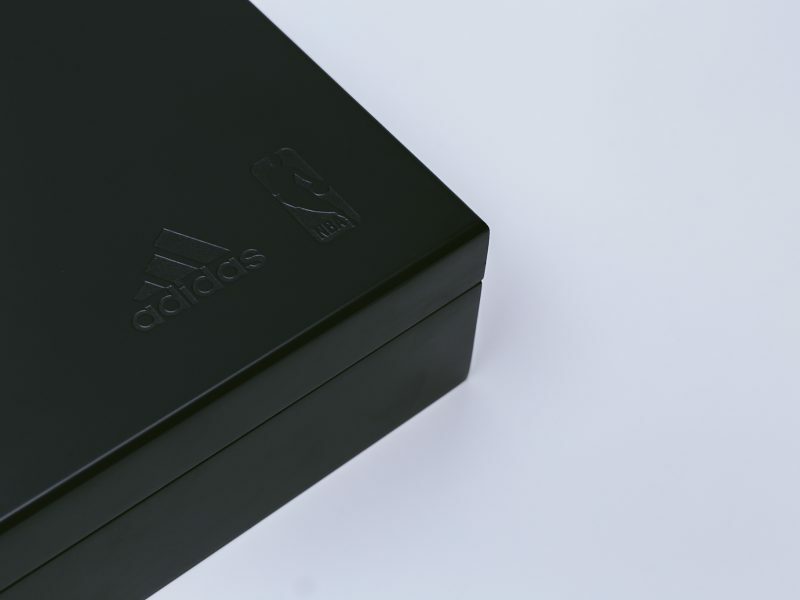 We have fulfilled many projects for the Adidas Group who sees the value in luxury bespoke packaging products for their events. For this project to stay within budget we decided to use matt varnished MDF which really enhanced the look and feel of the product. Within the base section a further built up MDF section was fitted to elevate the position of the Jersey for premium impact position. This section was then completely wrapped with black velvet creating the Adidas vision of a luxury product. 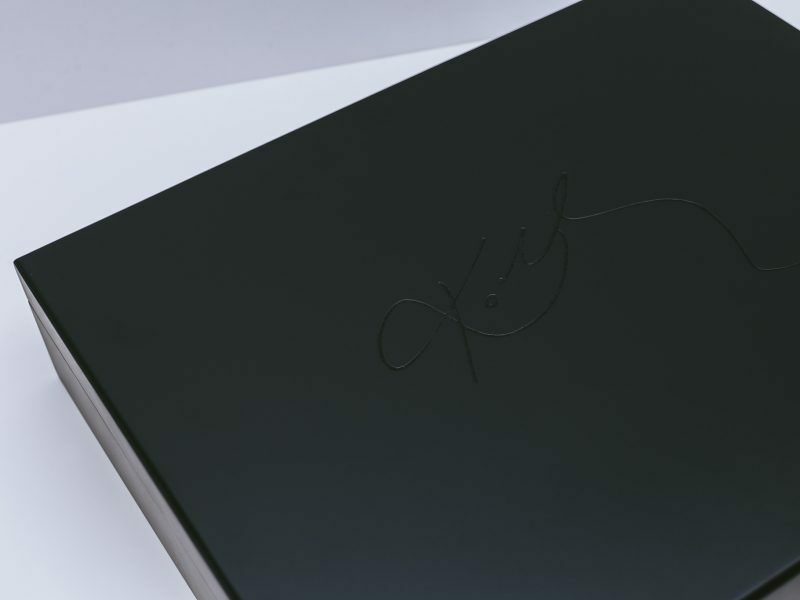 For the interior lid section we used an embossed snakeskin pattern paper with spot UV and a rectangular commemorative individually numbered printed gold plaque. For final optimisation of the presentation box, gold hinges and a clasp with a soft close front end mechanism were fitted and the logo engraved on the lid surface and side panel. Finally, finger lifts were machine cut on the sides for ease of opening. The finished product was commended by the NBA division of Adidas and showcased on network television in the United States. Following the success of this product we were quickly commissioned to produce another similar project for Adidas and also an additional Adidas UFC box for a UFC event in Las Vegas. We strive to produce the best for our customers who continually return with new briefs, testament to the quality and personal service we provide. E J Melling has excellent relationships with the shipping agents within the Adidas Group and as part of our service we managed the logistics side of the project closely ourselves, removing this responsibility from our customer’s department.